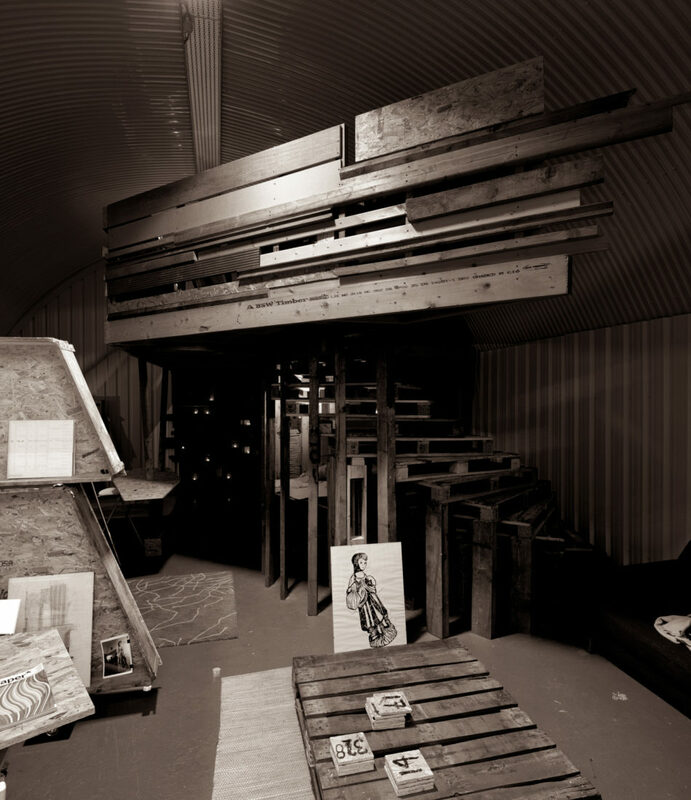 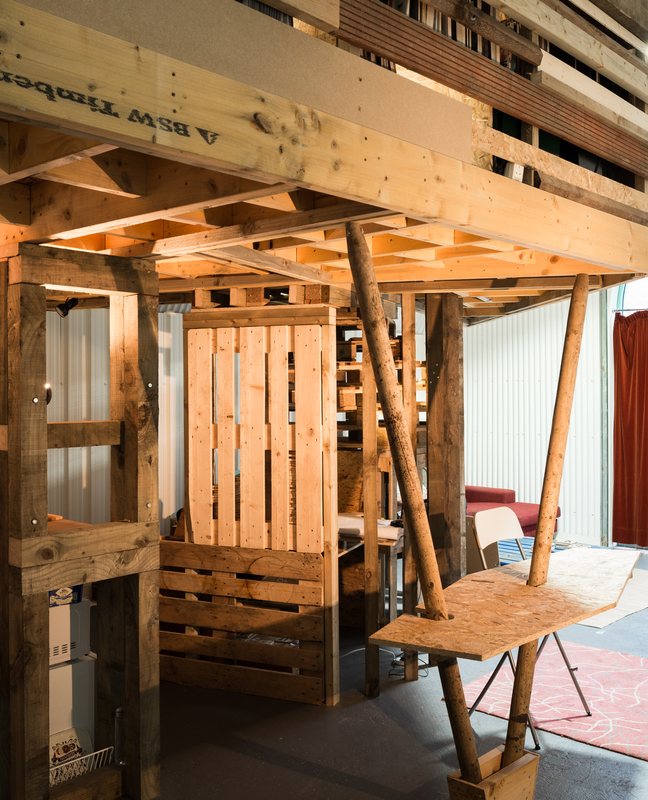 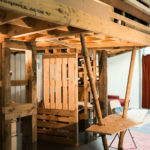 Architect Lee Ivett utilised his unique ability to make practical space out of adapting existing situations and using reclaimed materials in innovative and fresh ways, to create and test new perceptions of working environments. 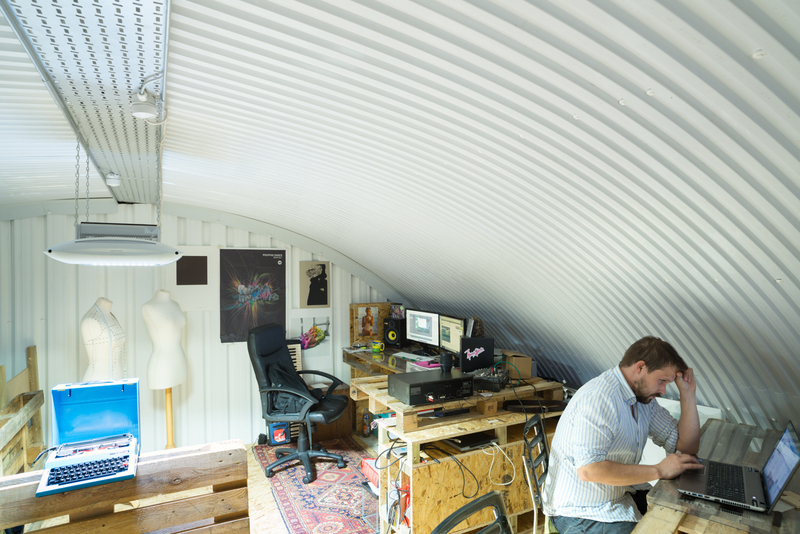 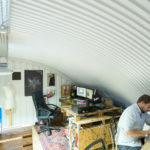 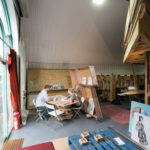 Within the shell of an old railway arch in Glasgow’s merchant city area, DeAnderen studios provided work space for himself and other creative start ups, musicians and artists. 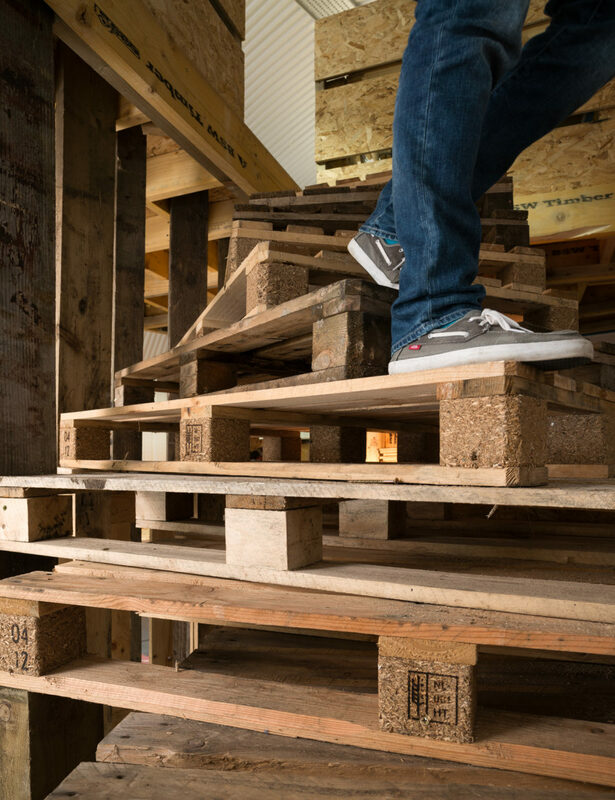 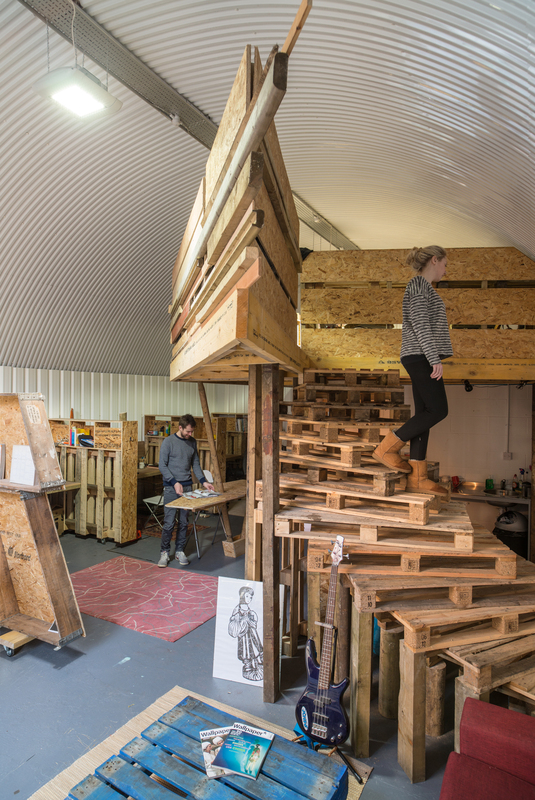 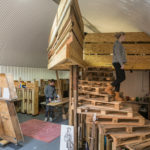 Using timber palettes, OSB board and reclaimed fencing materials, a structure was created around a makeshift spiral staircase leading to a mezzanine level within the space. 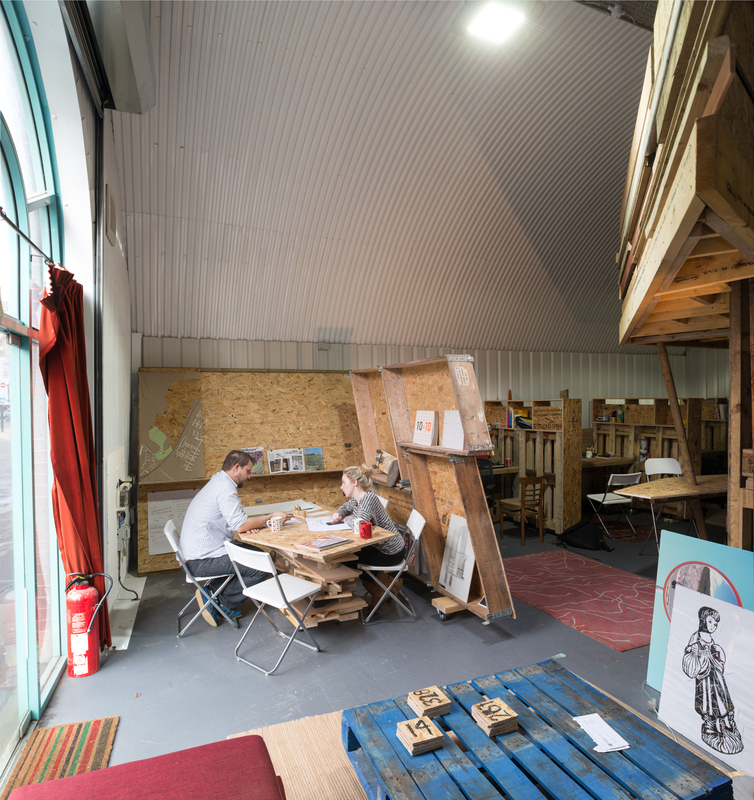 A kitchen, workshop area, workstations, and meeting area were formed within the remaining space. 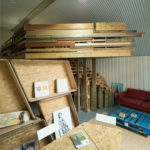 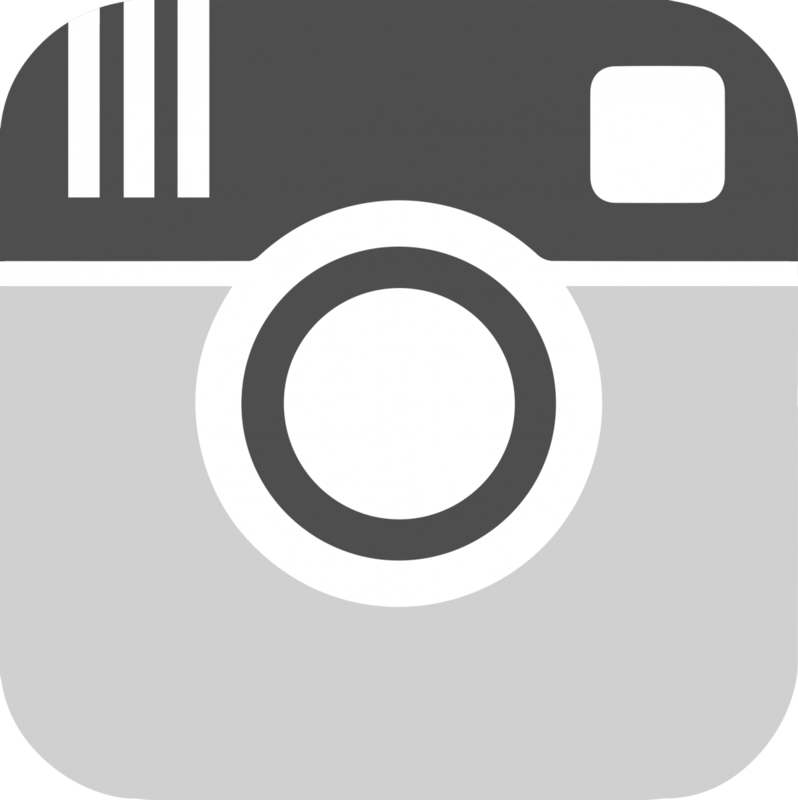 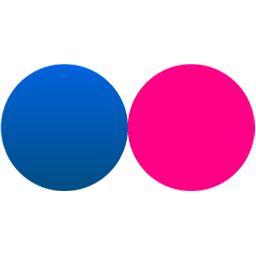 The project served as a working base for a three year period before tenants moved on to more permanent locations and situations.